Inception doesn't start with Leo DiCaprio's character Cobb explaining the ins and outs of shared dreaming. We start with tension-- he's trying to convince Saito that he needs to train his mind to not be vulnerable to idea theft. Here's the thing. We learn, in a few brief sentences of dialogue, that someone can steal your secrets through shared dreaming. And THAT'S IT. We don't know how it works, or who can do it, or the history behind why it was developed in the first place. Enter Juno-- er, Ariadne. She's new to the team. She doesn't understand any of the history or the hows and whys of dream sharing. The team teaches her all the ins and outs, and as she learns, so do we. This neatly evades the "maid and butler" dialogue of "As you know, your subconscious is represented by all these people," and "Yes, Cobb, and they will attack us if they sense something is wrong in the dream." It's natural for Ariadne to be learning it, so it's natural for us to learn it too. 3. Don't explain everything at once-- use small chunks in addition to weaving. Aka, NEVER SIMPLY TELL THE READER. Paragraphs that say, "and this is the history of x, and this is how y works," are the exact definition of bad info-dumps. In Inception, every single bit of information is worked in as part of a scene. In other words, it is not just giving you information. It's developing character, deepening mystery, and furthering plot at the same time. It brings tension around the very information we're receiving, and we're so engaged, we don't even recognize it as an info-dump. So, my friends, do you have trouble with revealing information in your writing? What are some techniques you use? What are some books or movies that you think do this well? And, just because I'm curious, did you like the movie Inception? I've definitely had my info-dump moments, but I'm trying to weave the information into the story in a more natural way while editing. It's hard cause half of my critters say "this is too much" and the other half say "I need to know more!" Great post. I did a TON of info dumping in my first book. (Well, who didn't?). In my second book I have been really careful where I place information that both the reader and MC need to know. I use this as we get closer to the climatic point of the story and will also save one bit of info for the very end of the book as a surprise. Outlining really helped me with info dumps. First, I did my character sketches, wrote everything I could about them and the world I created, then I wrote down the entire outline, scene by scene, also putting in (and pacing) the info I needed bit by bit, as needed. And as you say, in a manner that is natural to the story. Really wonderful post! In the past one thing I've noticed about my writing is I either dump a lot at the beginning, or leave the beginning void of information and then dump it at the end. Obviously neither worked! This is actually something that I've been careful about with my current WIP. I try to keep them natural to the flow of things. I am fabulous at info dumping.It has become my speciality. Thanks for this great post. Will bookmark it so I can reread it often and avoid the info dump malady. Steven Koonts does a great salt and peppering of the need to know stuff. As for me, I dump it first and then in revisions figure out where to sprinkle it. I completely agree with you especially about point number four. I hate when in books all an author does is dump info... it's so boring! Thank you! This was very thought provoking. 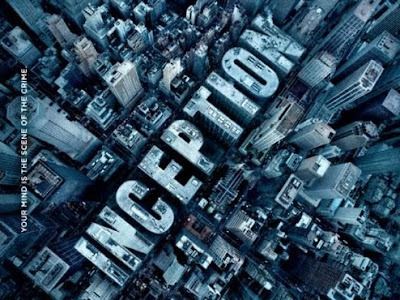 I like that you used Inception as an example, it totally get it and will implement! Ooo, I liked that movie, very clever and inventive. Yeaaaah, I've had a bit of trouble with info dumping and world-building dumping. Had to slash and trickle out the info more. It's a fine line sometimes, getting enough info in so the reader isn't lost, yet not dumping it. And every reader is slightly different--what one gets, another doesn't. Tricky! Great break down on how to weave information effectively through scenes. Thanks! LOVED Inception. Such a cool movie. I think another big no-no is the info dump through dialog. Where you make your characters say things they normally wouldn't say just to get some information out. Ack! I am the *worst* at remembering examples! But this was a GREAT lesson, Shallee. Really nicely done. I write sci fi too (though interestingly, my YA urban fantasy was so much harder to pass on info than my MG sci fi! Go figure! ), and I employ all of these tactics. I also think putting information in context helps people grasp the truth just intuitively. But you can't do too much of that, or the reader just gets lost.